Most of the time I’m not sorry that all my dedicated, single-use devices are dead and gone. If you’re carrying a modern smartphone around, why would you miss your Discman, or your portable DVD player, or your dumbphone, or your tape recorder, or your point-and-shoot camera, or your PalmPilot? Not only can one device replace all of them, but that one device is usually better at all of that stuff than most dedicated devices ever were. Yet there’s something pure about hardware that’s only designed to do one thing, at least when it’s designed well. A gadget that only wants to do a couple of things can tailor itself better to those specific uses while ignoring everything else. Maybe you could get better battery life out of your camera if it didn’t need to be a portable game console and full-featured computer all wrapped up into one. 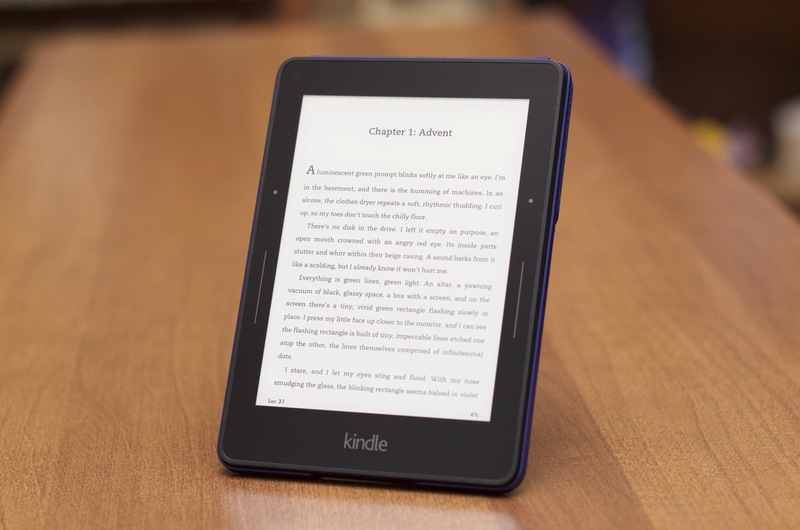 That’s the strongest argument there is for the Kindle line of e-readers, which continue to soldier on even though Amazon has branched out into full-on Android tablets, phones, and set-top boxes. 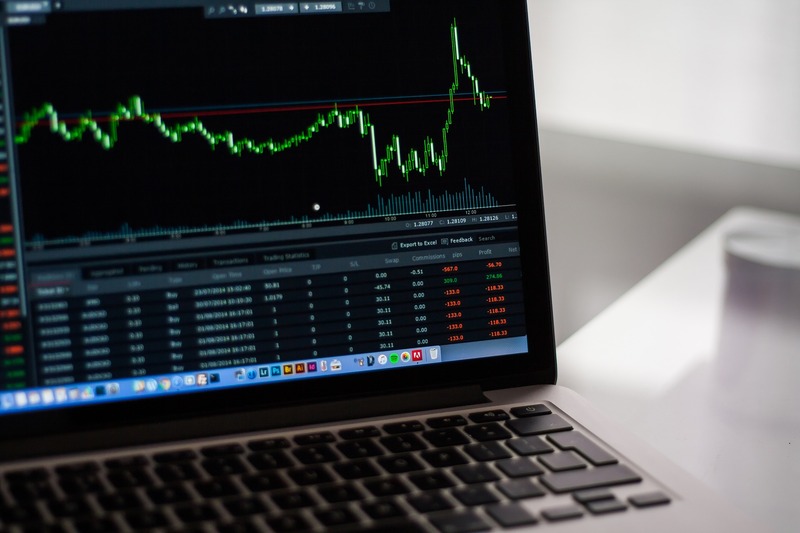 The company’s e-reader lineup changes only occasionally and very gradually; the biggest change was probably back in 2011 when Amazon switched out the physical keyboard for a software keyboard with navigation buttons and rudimentary touchscreens. 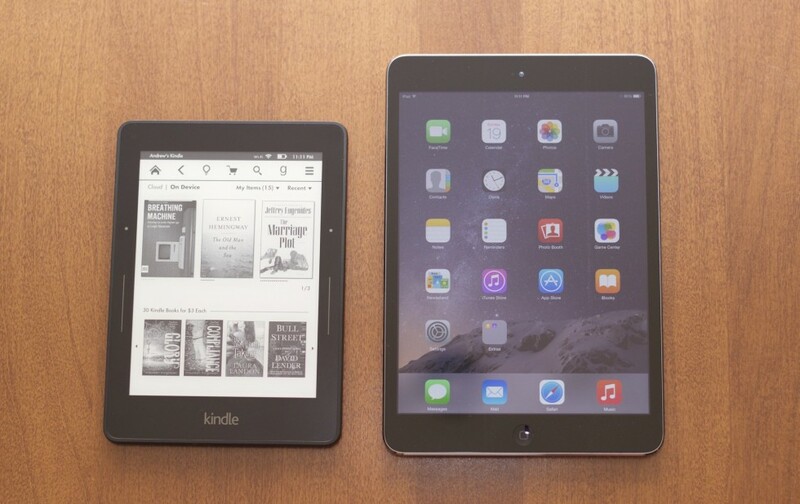 The Kindle Paperwhite’s front-lit screen is a close second. That brings us to the Kindle Voyage, which at $199 ($219 without ads; $269 or $289 for the 3G model) is by far Amazon’s most expensive e-reader. It’s also by far the nicest—if you can justify paying that much for a gadget that only does one thing. 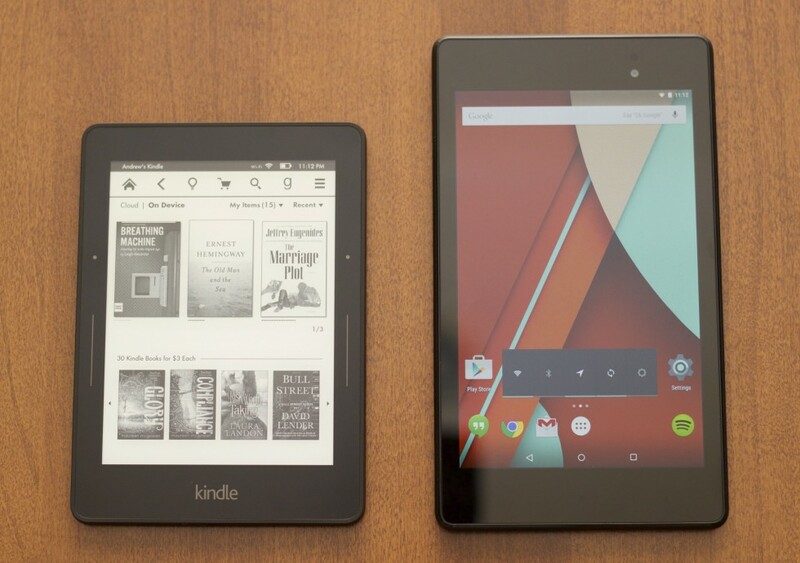 The Voyage’s design has more in common with recent Fire HDX tablets than with past Kindles. Its soft-touch back is all angles and it’s got the same rear-mounted power button. 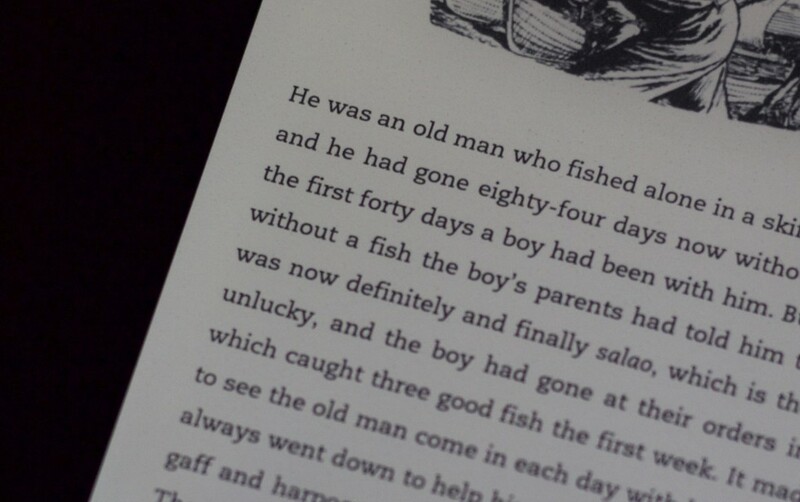 Its black bezel is flush with the 6-inch E-Ink screen, where previous Kindle displays have been slightly recessed. Though its design is distinctly tablet-y, the reading experience is in line with previous Kindles. The front of the tablet has a matte finish that Amazon claims mimics the feel of paper—it’s not much like paper, really, but it does eliminate glare and minimize fingerprints. Two important things separate the Voyage from the $119 Kindle Paperwhite that still serves as Amazon’s midrange e-reader: it’s got a higher pixel density (300 PPI, up from 212) and an auto-brightness sensor. Auto-brightness sensors in conventional phones and tablets often make screens just a little too dim for my tastes (in part to conserve battery, no doubt), but the Voyage’s sensor is a nice upgrade over the Paperwhite. I used the Voyage in a whole bunch of different situations—in brightly-lit and totally dark rooms, on daytime and nighttime flights jetting to and from last week’s Apple event to our yearly staff meeting. In all environments, the sensor did a pretty good job of making the screen look like a well-lit piece of paper. On my various Android and iOS devices, I usually set the Kindle app to display white text on a dark background just to avoid eyestrain, but it’s not a problem with the Voyage. The back of the foldable Origami case in stand mode. 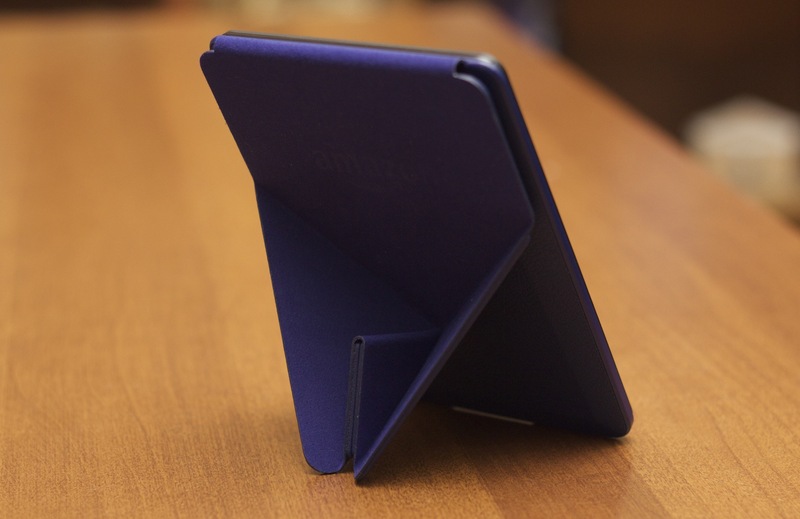 The flap flattens out to cover the screen. 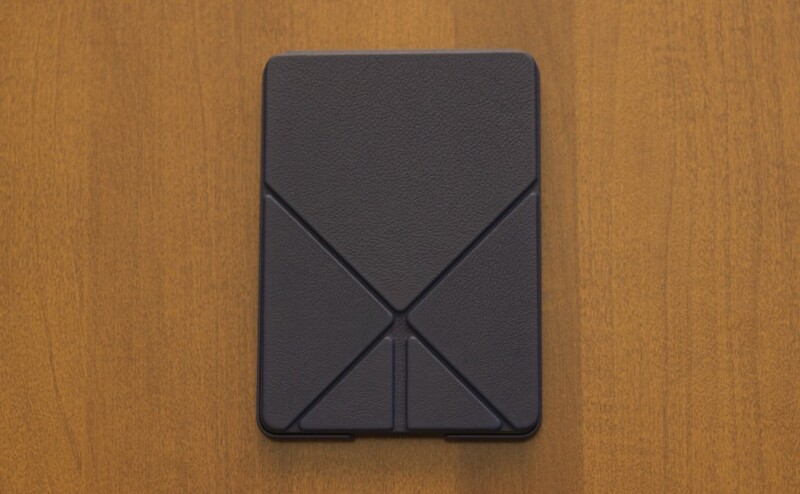 Both front and back are protected, and the Kindle is held in place with magnets. The back of the tablet. 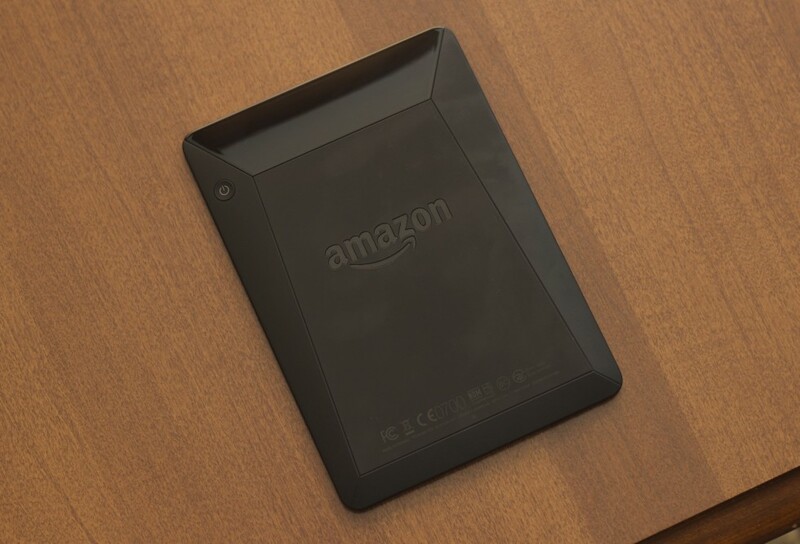 It takes cues from the Kindle Fire HDX tablets. The Voyage’s 300 PPI screen is sharp enough that even small text looks good. There’s an additional setting called Nightlight, disabled by default, that makes the auto-brightness feature adjust itself more gradually. It’s primarily used to slowly dim the screen in dark settings as your eyes adjust, minimizing the amount of battery power used while keeping the screen readable. If you’ve already got a recent Paperwhite, though, there’s not much else about the screen that will make you want to upgrade. I’ve never found text rendering to be a problem when I’ve used 212 PPI Kindles, and both Paperwhite and Voyage use E-Ink’s “Carta” technology. This gives these devices better contrast and less text “ghosting” than the Pearl screens used to in the $79 Kindle and older models. Though the screen still flashes black to refresh itself every few page turns, you really have to be looking for it to notice much text or image ghosting. The Voyage is mostly touch-driven. The first-time setup tutorial walks you through the “zones” of the touchscreen—the large area in the lower-right corner used to turn pages forward, the smaller area in the lower-left corner used to go backward, and the area across the top of the screen that brings up the navigation toolbar. While generally accurate, the touchscreen isn’t any significantly faster or more responsive than those in older models. Pressing keys too quickly is a great way to mistype things, and the need to tap each key slowly and deliberately adds time to everything from unlocking the device with a PIN to searching for books in the store. This hesitation affects things like highlighting too. That activity is pretty quick work on an iOS or Android device, but it takes several seconds longer on an E-Ink screen, something that may be frustrating to more active readers. The Voyage also includes capacitive page-turning buttons to the left and right of the screen—the long bars turn the page forward when pressed, and the small dots go backward. Gentle haptic vibration accompanies each button press. These capacitive buttons approximate the functionality of the physical buttons on older non-touch Kindles. They’re quieter than physical buttons, but they’re harder to find in the dark. Ultimately they end up feeling superfluous, since the touchscreen handles navigation perfectly well.